The Beauty Contest - Let your inner artist run wild! Step 0: How does it all work? 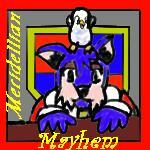 Well at the end of the week, many Neopians submit a drawing of their pet to compete against other drawings for Neopoints and a trophy! It isn’t this simple though - many other factors come into play! First of all, how hard is the pet to draw? A Lupe is much harder than a Kiko and a Maraquan Draik is much harder than a pea Chia! Also, ‘famous’ users have an upper hand as the hundreds of people that for some reason think they are the best thing since sliced bread will vote for them. The contest is divided into each species of pet and each person has one vote for each species. This leads to harsher competition as people are competing against tens of other pictures for a vote. At the end, winners from each species are decided as according to the public’s votes and then the top 3 drawings from every species will go on to win the overall prizes! Sounds complicated? Well it is! how-to-draw section to see a way to draw it. If you really can’t follow the how-to-draw (t is pretty hard for an artist in training like me) OR just copy the pet in your own manner, maybe that pet isn’t going to work. I searched for ages before I discovered the Lenny - at least two months. Step 2: Pick a method. So now you have a good pet to draw, you just need to draw it. Well there are many ways of drawing it, you could paint it, collage it, stencil it, sketch it, use some form of computer graphics (paint, Photoshop) or just adapt an existing Neopets image in some way. The only method that you really shouldn’t do is look around on some art site, find a really great picture and enter it. Most of the time, this picture will have already been entered by the original owner and you don’t deserve any prizes if you do get away with it and win. If you want to impress someone, the process of taking someone’s work and passing it off as your own is called PLAGIARISM and it’s a really bad thing to do. If you are using the computer, you may not need to consider this section as much so I will cover computer materials first. For a really professional piece of work, you should completely dismiss the idea of using paint as it is most often more effort than it’s worth. On a PC, use a program such as Adobe Photoshop (there is a free trial but to my knowledge, it isn’t very expensive) and on a Mac I would advice something like GIMP - a free program that is easy to use. Note: I won’t accept responsibility for any damage done to your computer as a result of using these programs. With drawing in the real world (i.e. not on a computer) then you don’t need to go wild buying expensive materials. Today, I went down to a really cheap shop and bought two packs of coloured pencils for £1.98 (or $3.80) and I picked up a normal pencil for 20p (or $0.38). That is all I plan to spend on any one entry and the pencils will last for months. A basic philosophy for buying materials specifically for something like this is to just buy stuff cheap and you can reuse them later on for something else. Going back to computers though, in order to get your work onto the computer, a scanner is best. If you are lucky enough to own one then that’s fine but if not you should be able to use one at a library or Internet café. It really does help to look around for a good scanner as it can often make a world of difference in the quality of your final submission. This is probably going to be the shortest step but the most important. Once you have picked your method, got materials and picked your pet then you need to practice bringing these all together to produce some nice artwork. A good form of practice is to look at other examples of your chosen pet and pet colour on the current beauty contest or on the past winners. This can actually apply to a lot of things - I looked around Neopian Times archives when looking for ideas to get my ideas across. However, for practice nothing can beat just sitting down and making your picture again to try and capture something different, try out something like shading or highlighting. So you have got this far and for that, you deserve a warm round of applause! *Applause sounds from the dusty margins of my article. * It is finally time to begin your campaign into winning the contest! Make sure your picture is in GIF or JPG format and that it is under 17k in size. Don’t worry too much about the file size - many people enter a smaller version of the picture then post the full sized version on a pet page (another note: if you need help with HTML for posting your work, there is a great explanation under the ‘help’ section on the sidebar or you can Neomail me and I’ll try to get back to you as fast as possible.) That brings me onto the next section - the description. The description for your entry may be important or it may be not so important. You need to advertise key facts like ‘file size restrictions were horrible this time - please see my pet page for a better version!’ and tell people if it’s your first time as you may get sympathy votes for a terrible picture :P! So your pet has been entered into the next beauty contest! Once it begins, advertise it in your signature and BE SURE to put a link to your entry in it! Become active on as many boards as you can, Neomail friends about your entry, post on message boards and frequent the beauty contest board as much as possible! Make sure hundreds of potential voters know about your picture! Now the waiting process begins - advertise as much as possible throughout the week and hope it pays off! So your first ever entry is finally over. Hopefully, you didn’t end up in last place, gain no votes and be beaten by absolute garbage. Well, if you did don’t worry because the contest has never been a real test of art as such. People look out for famous Neopians, funny pictures or their favourite species. And anyway, no one can always get what they want! I’ve had countless entries rejected to the Neopian Times but all you can really do is try again. Put 110% into your work and really make it stand out! “Well, is there not an inn somewhere in the area? I thought that the tent was only for emergency uses.” He did not like the idea of sleeping in a tent overnight. Sherry gave me toast for breakfast, which I loved. I held Jill the entire time. When I told Maria that Johnny and Sherry had pitched in to get her for me she just sniffed and said, "That's nice."